Gypsy Customs – Say What? LADY GYPSY was my 2nd book with Dorchester and was initially released the month the Towers came down. For those of us unfortunate enough to have new releases out during that chaotic time, our distribution took a huge hit. There were days when I wondered if my book ever got out of the New York warehouse. Thanks to the raging popularity of ebooks, though, LADY GYPSY is alive again and has reminded me how fascinating Gypsies were. Liza, the heroine, is one of my all-time favorites. Fathered by a Gaje (non-Gypsy) she never knew, she and her Gypsy mother are outcasts by her people. By the sheer nature of her story and the life she was forced to live, she’s unique and colorful. The way I depicted her with the obstacles she must overcome were true. Scratching – Most Gypsies were highly suspicious of the Gaje. When they encountered one they deemed unwelcome, they would scratch themselves or start coughing violently, giving the implication they possessed a skin or lung ailment which quite effectively sent the Gaje scurrying. They would take this skill into the Gaje stores, too, a butcher shop, for example. After scratching and scratching, they would freely touch hams or sausages. The disgusted butcher would send them on their way with the ‘soiled’ meat free of charge or at a drastically reduced price. With their possessions few, from time to time the Gypsy would stop at a farmhouse and ‘borrow’ something they needed, say a pair of scissors or an old pot. The Rom (Gypsies) found it unecessary to return the item to its owner; they would simply leave it behind when they were finished with it. In their minds, they weren’t ‘keeping’ the item, and besides, another kumpania (family group) would come along and could use it as well. Vurma – leaving signs or messages along a trail. If a Gypsy had to break camp quickly to avoid the police, they would leave signs for family members left behind. They’d hang bits of material or lengths of colored thread on tree branches slightly higher than the normal range of vision, choosing branches pointing in the direction they’d left. Pinecones, small heaps of stones, chicken bones, broken glass, etc. would be used, too, pointing the way if there were no trees along the road. 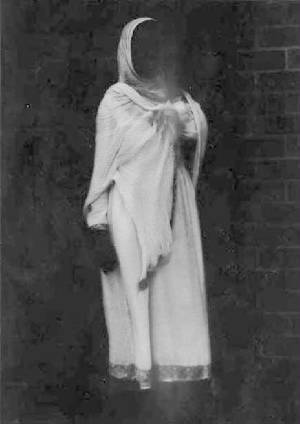 Ghost Vomit (Johai) – The Rom believed a spirit called ‘little grandmother’ (Mamioro) brought disease and fed on filth. They believed she left behind ghost vomit (slime found on garbage) which could heal Gypsy ills. Mixed with flour and baked until it was hard, the Gypsy would chip off small pieces and carry it in their bujo, a small medicine bag. Johai would be mixed with garlic and pepper and other herbs, placed in a small bag, then sewn into an unbaptized child’s clothing, for example, or a sick person’s clothing, to keep them safe. Marhime – Most of us think of Gypsies as being eternally dirty in their shabby clothes, uncombed hair and bare feet, but in truth, they were fanatics in their cleanliness rituals. A woman was considered marhime (dirty) from the waist down. If her skirt hems touched a man besides her husband, he was soiled by her and considered unclean, a source of shame amongst the kumpania. If her skirts brushed against plates, cups or drinking glasses, they had to be destroyed. While parked along a riverbank, a kumpania followed five different orders for drawing water. Water for cooking and drinking was taken farthest upstream; next to that, water for washing dishes and bathing. Farther downstream, water for horses, then water for washing clothes, and lastly, the water used for the clothes of pregnant or menstruating women. Right down to using separate buckets for each use. However odd we might think it, this custom of considering women marhime assured her of both privacy and protection, giving her dignity, power, and a sense of mystery to men. Not necessarily a bad thing, eh? Do you know of any other customs, Gypsy or otherwise? Do you or your family have any quirks the rest of us would think a bit strange? 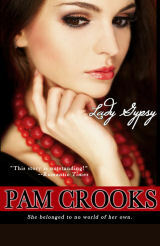 Pam, I just love your cover for Lady Gypsy! It’s beautiful. Fascinating gyspy lore!! LADY GYPSY is still a favorite of mine. Liza and her gypsy family made it such a unique story. Thank you for sharing these customs, I remember many weaved throughout the story. Thank you, Charlene. I love the cover, too. My daughter designed it for me – it really has a Gypsy look to it, doesn’t it? Kirsten!! It’s wonderful to see you here bright and early this morning. I’m really glad you enjoyed Liza’s story. Thank you for saying so! Thanks for the interesting post on gypsy customs. My daughter has become interested in the TV show MY BIG FAT GYPSY WEDDING. The customs and way of life is very different from what we are used to. I think the restrictive lives the women must live are what she comments on the most. Of course, I am sure many of these customs have changed over the years. Many of their customs made sense, the water use in particular. As for some of the others, they explain why they had/have such a bad reputation. It must have been (is) very difficult for someone caught between the two worlds. Lovely cover, I like it much better than the original on the paperback. I checked Amazon to see if they carried. I’ll have to look for the paperback on the secondary market. It is a story that sounds interesting. Hope the e-book sales go well. Such an interesting post, Pam. The gypsy culture really lives by their own code, don’t they? I can understand why the Gaje weren’t too fond of their “borrowing” and “scratching” ways, but then from the Rom perspecitive, it seems to simply be a way to provide for their families. I wonder if their distrust of outsiders is what led to their nomadic ways or if they’d always been a nomadic people? It’s hard to build trust if you’re always moving on. Patricia, I’m really interested in MY BIG FAT GYPSY WEDDING. I wasn’t aware of it, and it sounds fascinating. I Googled it, and there’s an article coming out on the 23rd in Vogue about it. Will definitely check out both the mag and the movie. My first thought was it might be similar to MY BIG FAT GREEK WEDDING–which I absolutely loved. Good morning, my sister Filly, Karen! 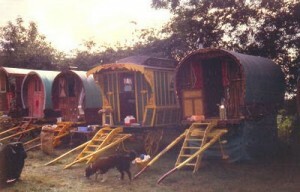 I think the gypsies have always been nomadic. They have their roots in Yugoslavia and Bulgaria, and their struggles to survive have been centuries long. It’s hard to sustain a life when you’re always on the move–can’t have jobs or homes. Through the 60s and 70s, the Gypsies have grown less nomadic in this country. There’s a pretty big population in California. Gypsies, Tramps and Thieves–yes!!! Would you believe that song was my inspiration for the book? I’d completely forgotten that until you mentioned it. LOL. A gypsy book I loved was written by Lisa Kleypas. A young gypsy man living in the Gadji works has a secondary part in The Devil in Winter. Then he gets his own love story, marrying into the upper crust in Regency England, completely forbidden. I loved all the gypsy references. Lady Gypsy, I haven’t read it for a long time. I’ve got it on my keeper shelf. I need to crack it open again. Love it. Love to read about gypsies! Have not read these books but like Mary will have to load them onto my kindle. Hi Pam! What a fascinating setting for your story! I knew nothing about gypsies until now. The custom of “borrowing” made me think about recycling and yard sales and how much stuff we all have that could be used by someone else. Love the cover! Pam, thank you for the lessons about Gypseys and their rituals. I am sure being of Irish hertiage there are a few ROM’s in my family somewhere down the family tree.. I wish you well with your books.. They sound fasinating for sure..
Pam, what an interesting post. I’ve been very curious about the gypsy culture but never knew too much about it. I know it was a hot subject to write about in the romance field in the 70’s. I used to devour those books. There was always something mysterious and magnetic about the characters because most of the plots seemed to deal with forbidden attraction. And I think the gypsy heroes were the original bad boys. I hope Lady Gypsy does very well as an e-book. Wishing you lots of luck. Hey, Mary! You have LADY GYPSY on your keeper shelf? Aw, I never knew. How nice! Hugs! Connie, good to ‘see’ you again! We love our loyal friends in the Junction! Vicki, the gypsies have a strong sense of family, so sharing with their own people came naturally. It’s a way of life. Even in modern times, the gypsies live together under one roof. It’s a custom that a new bride goes to live with her husband’s family until she has 2 – 3 children. Only then, do they move out on their own, but until then, it becomes her duty to take care of her husband’s parents, to travel with them, and so on. Good for the parents, maybe not so good for the bride, eh? Hello, Kathleen! Wouldn’t we all love to see just who was on our family tree, eh? We’d probably have some real surprises. I can totally see how genealogy would get addicting. Hey, Linda-Lou! You’re right – the Gypsies were very popular and a strong part of the huge explosion of romance’s popularity. Oh, yeah, those bad boy heroes and exotic, fiery heroines!